Special Containment Procedures: The forest containing SCP-XXXX has been publicly declared as a natural reserve, with the cooperation of the Chinese government, in order to prevent non-Foundation personnel from accessing the section surrounding the colony. Additionally, the circular perimeter of radius 1 km established around the colony is to be manned by no less than 20 Foundations guards disguised as Chinese park security officers. Unless given clearance by Site Director [person] and permission from SCP-XXXX-1, no personnel are allowed beyond the enclosed area designated as the colony's area of influence. 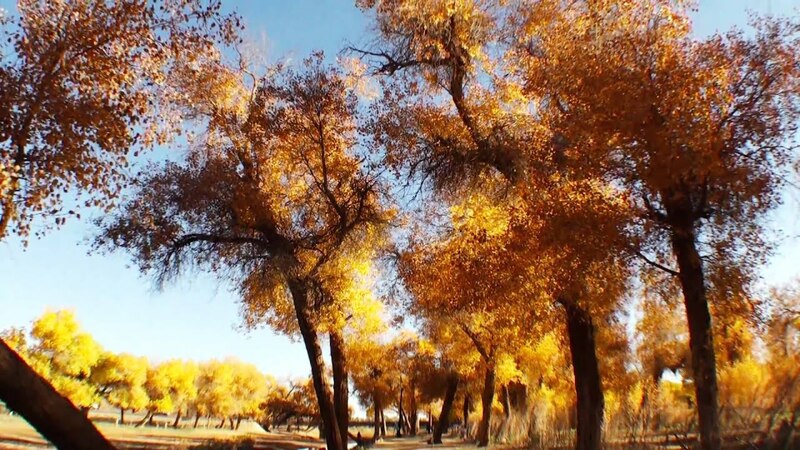 Description: SCP-XXXX is the designation for a clonal colony of trees of the genus populus euphratica near [blocks] in the Nei Mongol Autonomous Region of the People's Republic of China that displays traits of sapience and sentience and is capable of verbal communication. Due to the difficulty in determining the size of the colony, the exact number of trees and the affected area is unknown. Trees originating vegetatively from SCP-XXXX do not exhibit any physical characteristics that deviate them from the non-anomalous variants. Its primary medium of communication, designated SCP-XXXX-1, is an unidentifiable human male that appears to have fused with a tree assumed to be part of the colony. The body shows signs of decay, but has been observed to be able to move its limbs, albeit with limited range of motion, and is able to communicate in various languages including Mandarin (Jin dialect) and English. At this time, it is unknown if the acquisition of the body is the underlying cause of the anomalous traits in the colony. During surveys of the area around SCP-XXXX-1, it has been determined that SCP-XXXX is capable of altering the composition of the air and soil via secretions to balance the ecosystem within its area of influence. These secretions have been observed to consist of toxins, various animal and insect pheromones, water, and natural fertilizers. Currently, SCP-XXXX is willing to communicate with the Foundation through a solar powered radio kit with a 5 km range given to SCP-XXXX-1, but it asserts that no personnel are permitted into its area of influence unless given explicit permission. Addendum XXXX-01: The following are reports detailing the events that transpired prior and during the establishment of Area-81 around SCP-XXXX. Foreword: Containment Task Force Lambda-8 was dispatched to [location] in response to the confirmation of hostile anomalous activity within the nearby forests by the containment team. Objective: Identify and contain anomaly. Assets: Fire Teams Alpha and Bravo from Containment Task Force Lambda-8 were deployed with standard bio-hazard combat gear due to reports of toxins present in the air. Foreword: The results of the failed containment mission revealed that the anomalous activities manifest in an area of an indeterminate size inside the forest and gradually dissipate as the distance between the observer and the central point of the affected area increases. Objective: Identify and contain anomaly. Recovery of gear lost during previous mission is a secondary objective. Assets: Squad consisting of fire teams Alpha, Bravo, and Charlie were deployed with standard bio-hazard combat gear. Closing Statement: The source of the anomalous activity is supposed to originate from a specific clonal colony within the forest. Foreword: SCP-XXXX has been identified as a clonal colony of populus euphratica, the tree native to [location], and the identifier SCP-XXXX-1 is assigned to the human component of a tree originating from the anomalous colony. Closing Statement: SCP-XXXX-1 was noted to have a slower rate of speech than that of native [language] speakers. This possibly due to the deteriorated condition of the human component in combination with other undetermined variables.